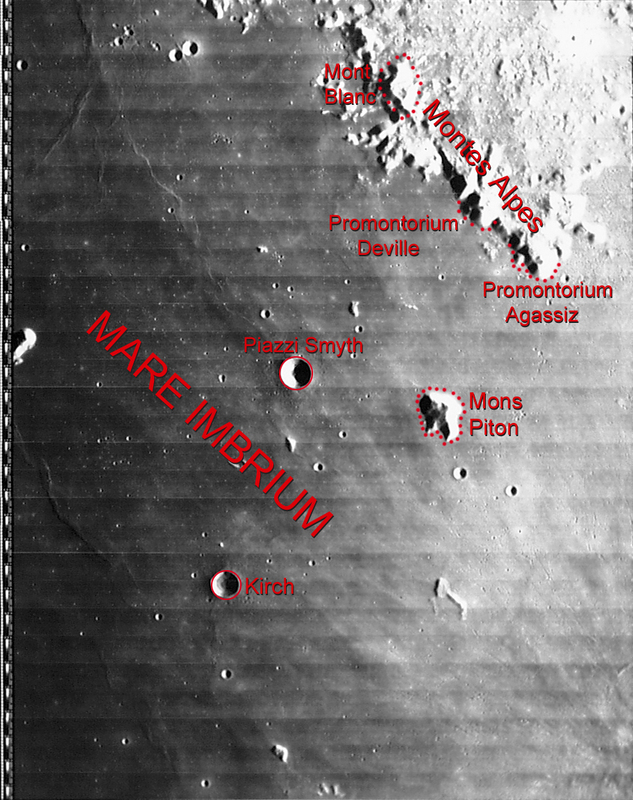 I was touring round Mare Imbrium last night and I noticed a feature that ran from (or to) Piazzi Smyth, running aprox. parallel to the Montes Alpes and terminating at the edge of a very indistinct crater south of Plato.I could not make out whether it was a ridge or valley. I have looked on the web to find out about it, but was not successful. Most of the images of the area did not show it or only hinted at it. The only one I found where it was fairly distinctive was at.http://www.lpi.usra.edu/resources/lunar_orbiter/images/aimg/iv_115_h2.jpg Does anyone know what it is please? Thank you David. I did observe the Mare Imbrium last night and the shadows were better placed and I saw quite a few more. "very indistinct crater south of Plato" yes I am referring to the Ghost Crater. I had always thought it to be a crater but have never been able to find a name for it. Your image of the area is the best I have seen for bringing out the detail and the Ghost Crater matches what I sketched last night.